First, they crashed near Roswell, New Mexico, sometime in July 1947. Then they crashed into our lunch boxes and our lives. Our imaginations have met extraterrestrials of all types. We sometimes encounter them on other worlds, while some choose to visit us, right here on Earth. With an amazing variety of looks and intentions, alien life-forms have become some of the most memorable characters in our popular culture. In honor of alien day, here are three lunch boxes from television series featuring alien life-forms. Lost in Space featured the adventures of the Robinson family, colonists who were … lost in space. Based on the Gold Key comic book Space Family Robinson, the show ran for 83 episodes between 1965 and 1968. The Robinsons—father John, mother Maureen, and children Judy, Penny, and Will—were joined by stud pilot Don West, deceitful Dr. Smith, and their loyal robot … Robot, on their sojourns to other worlds. There they met an assortment of the universe's most exciting and exotic beings, including Athena, the Girl from the Green Dimension, and Tybo (a gigantic carrot man). You are probably thinking, a carrot man, pretty stupid! Billy Mumy, who played young ginger Will Robinson, agrees! While the Robinsons were cancelled before they could become … unlost … the show lived on in syndication and remains one of the best remembered programs of the era. The same can't be said of the 1998 film remake, starring Academy Award winner William Hurt, Academy award nominee Gary Oldman, and Joey from Friends. The future—1980! Spy music. Polyester jumpsuits, silver mini-skirts, and lots of brown mesh. Moon bases! Alien attacks! I don't know much about UFO, a British show from 1970, but based on its awesome opening sequence, I assume it was the raddest show ever! UFO was the creation of Gerry Anderson (famous creator of the marionette-starring adventures Fireball XL5 and Thunderbirds), his wife and collaborator Sylvia Anderson, and model-maker Reg Hill. It documented the efforts of SHADO, the Supreme Headquarters, Alien Defence Organization, to thwart the plans of a group of mysterious aliens intent on attacking Earth. SHADO was based in England and had defense centers on a submarine and the moon. (For some reason, the women on the moon base had purple hair. One in particular has a pretty big following. This is the most SFS (safe for Smithsonian) tribute to her I could find). Well Mork learned his lesson. 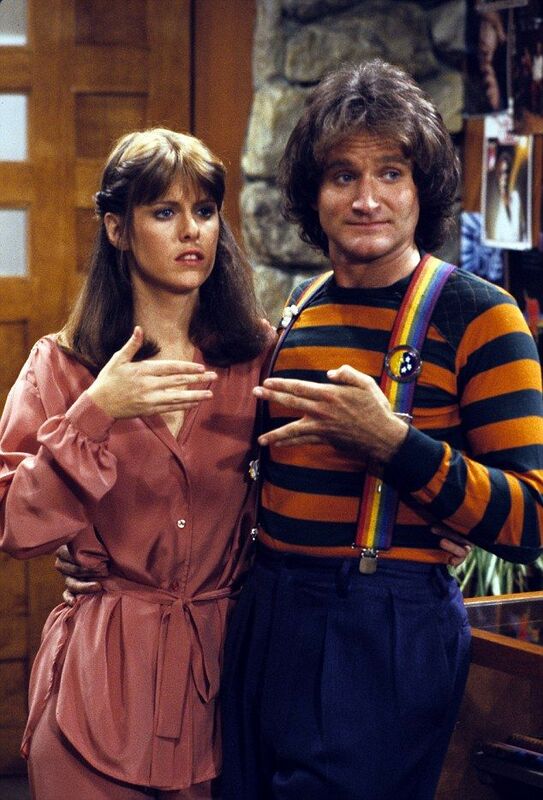 He returned to Earth as a more humble figure on the spinoff series Mork and Mindy, which aired from 1978–1982. The action of the show was moved to modern day, Boulder, Colorado, with the titular Mindy being portrayed by Pam Dawber, who, my grade-school self informs me, is the prettiest actress ever. Mork wore rainbow suspenders, aged backwards, and would say odd things like "Nanu-Nanu" and "Shazbot." On the show, Mork learns about human society, at its best and worst. At the end of every show, he would send dispatches to his home planet of Ork, relating what he learned. The show helped make Robin Williams a star, and taught an entire generation to do this with their fingers. These are just three examples of programs in which aliens played a dominant role and were featured on lunch boxes. Did you ever have an alien lunch box? Eric W. Jentsch is the deputy chair for the Division of Culture and the Arts. For a moment of vintage lunch box zen, check out our small display of lunch boxes by the museum's Stars and Stripes Cafe.